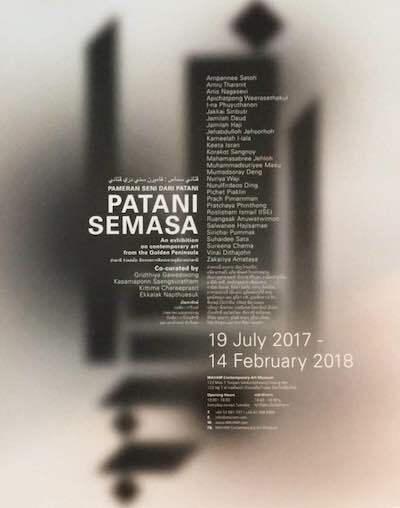 MAIIAM, the Chiang Mai art museum which opened last year with an Apichatpong Weerasethakul retrospective, is currently showing Patani Semasa, a group exhibition of art that reflects the ethnic and religious identities of Thailand's southernmost region. The exhibition includes four works from Apichatpong's photographic Photophobia project (preparatory works for his installation The Importance of Telepathy), incorporating images of the aftermath of the 2004 Tak Bai massacre. Patani Semasa opened on 19th July, and will close on Valentine's Day next year.